The colorful darts traveling down the cuff of this sock will end your hunt for the perfect pattern for a variegated sock yarn. A simple pattern with a complex effect, the yarn is carried (floated) across the right side of the fabric and knit into “arrows”, highlighting the color changes and subduing any unwanted pooling or flashing. 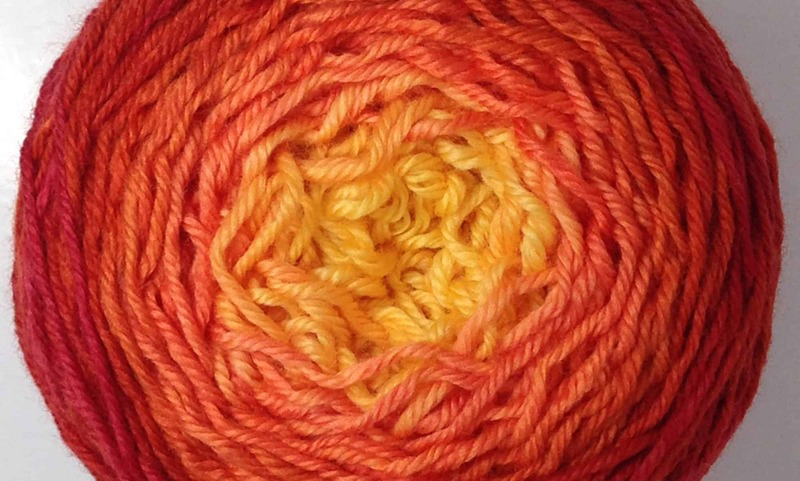 Materials: 1 skein Modeknit Yarn, ModeSock (3.5oz/100g, 382yds/349m) 60% SW Merino, 30% Bamboo, 10% Nylon. Sl WYRS: Slip stitch with yarn to RS of work. WYRS: With yarn to right side of work.